Is Your Son or Daughter Charged With Juvenile Delinquency? Adolescence is a difficult stage of life. Many young people make poor decisions before they fully understand the impact those decisions could have on their life. In Texas, a child becomes individually responsible for delinquent conduct when they reach the age of 10. The juvenile justice system is separate and distinct from the criminal justice system, and children do not face criminal convictions but are rather found "in need of supervision." The supervision that can be imposed ranges from probation to being placed in the custody of the Texas Youth Commission - a prison for juveniles. 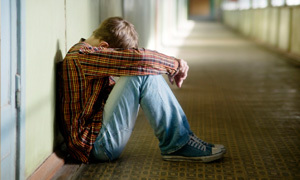 If your child is facing allegations of delinquent conduct, it is imperative that you protect their future by contacting an experienced juvenile defense attorney. Our team of skilled attorneys possesses the necessary knowledge of the juvenile justice system to protect your child's rights and to guide you through the stressful process. We combine years of experience with innovative defense strategies to help ensure that your son or daughter's future isn't destroyed by a youthful mistake. Contact us today at the Law Office of James & Reynolds to discuss how we can help. At James & Reynolds, Bryan, Texas, we provide criminal defense for clients throughout the Brazos Valley, including the cities of College Station, Austin, Houston, Conroe, Huntsville, and Brenham, and Brazos County, Grimes County, Robertson County, Madison County, Burleson County, Washington County, Walker County, Milam County, Leon County, and Lee County. Call us now, and let's get started on your defense today. Or fill out the form below and we'll contact you ASAP. We know how critical it can be in some cases to start analyzing all the circumstances of a case at the earliest possible time. We also know that someone facing criminal charges, whether they are still in jail or have been released on bond, can be extremely nervous about the situation. Thus, we have an around the clock answering service that contacts us immediately when someone calls. We also provide weekend and evening consultations upon request. Our years of experience have given us the ability to assess matters and figure out the best defense quickly. If you or someone you know is facing criminal charges, contact our skilled criminal defense attorneys.